With these words begins Gideon Crew's latest, most dangerous, most high-stakes assignment yet. Failure will mean nothing short of the end of humankind on earth. Five years ago, the mysterious and inscrutable head of Effective Engineering Solutions, Eli Glinn, led a mission to recover a gigantic meteorite--the largest ever discovered--from a remote island off the coast of South America. The mission ended in disaster when their ship, the Rolvaag, foundered in a vicious storm in the Antarctic waters and broke apart, sinking-along with its unique cargo-to the ocean floor. One hundred and eight crew members perished, and Eli Glinn was left paralyzed. The book was ok up until the end where it seemed rushed as if the book was due to the publisher. Very much a disappointment compared to his other novels. Enjoyed it but not as compelling as previous Gideon Crew books. Too much description and too little plot advancement. Seemed to drag the story out. 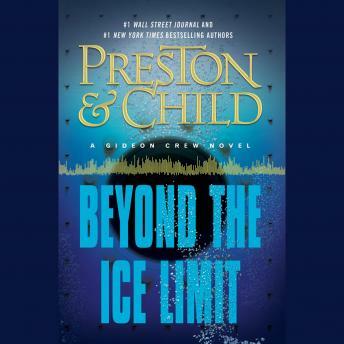 I have been a fan of Preston & Child for many years and this is the first book of theirs that I "listened to" instead of "reading". It was just as terrific as usual. Their plots are always thought provoking and always on point. Thanks for the great entertainment.